Win a free digital ARC! The website had undergone a top to bottom renovation and I’m really very thrilled with the fantastic work Jeremiah Tolbert of Clockpunk Studios did with it. A new book deserves a new site filled with all sorts of goodies, right? I hope you find the site more reader-friendly now, with separate book pages for all my novels/collections/anthologies, with easy to click buy links, and I’m in the process of building up some extras on each book page, to make them more interesting to visit. And I’m over the moon with how Jeremiah integrated Kurt and Zelda’s fabulous web art into the new design; I love the watermark affect of the sketch on the bottom of each page and the peppering of the colored banners throughout the pages. Have a click around to see the full extent of the customizations he did. I highly recommend Clockpunk Studios to anyone looking to have some website work done. Let’s celebrate! Win a free digital ARC! Such big changes call for a contest. I’m giving away Fifteen digital ARCs (Advanced Reader Copies) of The Bone Flower Throne. It’s available in both Mobi (Kindle) and epub (Nook) formats, and while I’d love the winners to review the book at Goodreads/Amazon/B&N/blog when they’re done, it’s not a requirement. To enter, simply leave a comment below (only on the WordPress blog; not LiveJournal); be sure to use an active email address* when filling out the comment form, for winners’ files will be sent to those addresses. I’d really love to give away the full fifteen, so please let your friends know about the contest (and if the turnout is more than anticipated, I might up the number of ARC prizes…). I’ll hold the drawing Tuesday September 3rd and email out files to the winners the following day. *I promise not to use your email address for anything outside the purposes of this contest and will only be used/looked at in the event you win a prize. I will not be collecting email addresses to spam you with unwanted mail, nor will I sell your email address to third parties. I figure if you want me emailing you with publishing news, you will sign up for the mailing list. Where oh where have you been? The publication date for my first novel The Bone Flower Throne has been set for October 19, 2013, a really good date since that coincides with MileHiCon here in Denver, so I’m looking into possibly throwing a release party there. More details on that once I get reservations and pub dates more solidified. Production on said novel is moving along. 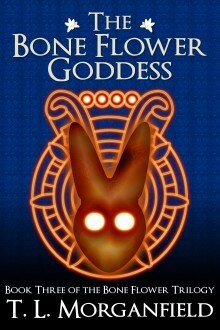 I expect to receive edits any day now, and Panverse has hired a wonderful artist to do the cover art: Zelda Devon, who–along with her partner Kurt Huggins–did the lovely web art for this very site. The initial concept sketches I’ve seen are very exciting. Arcs are scheduled for mid July, so if you’re interested in reading and reviewing the book on Goodreads or Amazon, drop me a message via the contact page and I’ll see what I can do. Word of mouth is very important with small press books, and the best way to spread it is with reviews. As for promotion, I recently set up a Pinterst account and created boards for not only The Bone Flower Throne, but its sequels and another project I’ve been working on (more about that below). They are collections of art and photographs the relate to the books or remind me of things that happen in them (there are a few pieces that are original art related to the books and they are marked as such). On the new writing front, I’ve been extremely busy. I’m in the final stages of finishing up work on my alternate history romance, which I’m calling Fugitives of Fate. I had a tremendously fun time writing this book, set very early in my One World series, and I have at least one more novel idea I’d like to pursue at some point, but for now it’s time to focus on seeing if I can sell this. I’m about to test out the agent waters again, to help me decide if I’m still hanging out in the unsaleable pool and whether or not I should pursue this novel’s publication on my own. The good news is that I’ve found at least one major romance publisher with a new imprint that is looking for alternate history, so I’m more hopeful about the book’s chances than I was at the beginning of the year, but the whole “I’ve never read anything like this before” I’m hearing does make me worried (granted this statement is often followed by “Sounds really cool!” and “I want to read more!” but still…. I guess I’ve become a bit gun-shy.). I’ve signed up for my first ever pitches with an agent and an editor at the upcoming CRW minicon in August, so I’m getting my stuff prepared for that 20 minutes of terror. And that’s where things stand right now. Lots going on, most of it probably not all that interesting to talk about on a daily basis. Writing is mostly just putting the words on paper and rearranging them over and over until they look the best, not the most exciting thing to read about. Is Historical Romance Alternate History? When I became interested in writing romance, my reading predilections steered me directly into historical romance. I like a good relationship story, and I love history, so what’s not to like? But as I’ve started following the blogs of historical romance writers, I’ve started noticing something; writers referring to historical romance as “alternate history”. I’ve always shook my head at this, but I keep seeing it come up again and again, and it’s really started to feel like a burr in my boot every time I see. Do folks just not know what alternate history is? I cut my teeth in science fiction writing alternate history, and from what I’ve read of historical romance, nothing I’ve read is true alternate history. So what is alternate history? At its core, AH is What if?. Further, Wikipedia defines it as looking “at ‘what if’ scenarios from some of history’s most pivotal turning points and present[ing] a completely different version, sometimes based on science and fact, but often based on conjecture. The exploration of how the world would look today if various changes occurred and what these alternate worlds would be like forms the basis of this vast subject matter.” So in AH, the world which we know has been changed and the resulting future is noticeably different than the one we live in. The thing about historical romance is that, in my limited reading so far, there’s been no “what if?” and no significant altering of history. There’s a lot of taking liberties with historical figures, usually minor ones, or outright substitution of actual historical figures with made up ones, but in the end, history is not fundamentally different than we know it; the world is not changed so that Columbus never discovers the Americas or the Roman Empire survives into the modern era. History continues on in pretty much the same fashion it already did. All the historical romances I’ve read thus far miss this key benchmark of alternate history. So, if they aren’t alternate history, then what are they? Taking a look at Uchronia’s definitions, I’d call them Secret Histories. Some aren’t even that; they’re just romance stories told in a historical setting. But why is the distinction even important? Maybe it’s not, to anyone but me. See, I want to read actual alternate history romance, romances set within “what if” scenarios where the story is not confined by actual history, where unlikely relationship combinations occur thanks to history not unfolding the way it actually did. My own current WIP is exactly this kind of story; it takes place early in the timeline of my One World series, within a couple years of the point of divergence–the Mexica defeat and kill Cortes before the Spanish can start their march inland–and as a result, two historical figures who would have been enemies instead end up falling in love with each other. And the story is highly aware of its own alternate-ness and makes it a plot-point. These are the kinds of stories I’d really like to read more of. Am I just missing the true alternate history romances out there? Have you read any/can recommend any? My impression is that there aren’t many–if any–out there. I Sold My First Novel! 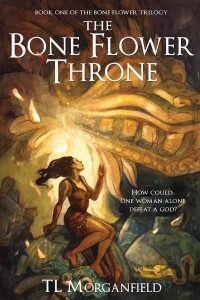 I’ve sold The Bone Flower Throne to Panverse Publishing! It’s the first book in my feminist retelling of the myths and legends surrounding the Toltec priest-king Ce Acatl Topiltzin Quetzalcoatl, and it’s scheduled to be published in late summer, early fall. WorldCon might actually be necessary this year, so I can do some lead-up promotion. I’m planning to do that Next Big Thing meme about it in the next week or so, so stay tuned to find out more about the book. Enjoy talking about the books you love (and hate!)? Try out these social reading websites.